RallyMoto club have been hard at work yet again and have come up with a new series to run in parallel with the All Terrain Rally Challenge in 2015. The new series "The RallyMoto Cup" will be in 3-parts and will be navigation only events. That means roadbook navigation! I'm very excited at this prospect, the regulations last year meant I coulnd't enter, but they have really opened up the entry requirements to make it accessible to all, including classes for beginners and bar mounted nav gear. 7th March 2015 – Pikes Peak Navigation Rally – one day, 140km roadbook rally with some challenging aspects – there will be a penalty for any bike that needs refueling on course so the bikes with 13 litre tanks will have an advantage in the overall results. 29th, 30th, 31st August 2015 – RallyMotoGB – 3 days, starting with a prologue and a specific rally and adventure roadbook course. Will also be a round of the ATRC. November 2015 – Moonraker Rally – one day that will start late and run into the night. How exciting is that?!!! I for one can't wait, especially for the Moonraker and navigating at night, it'll be an amazing experience. So far I am planning to enter the Rally Lite class on my KTM EXC 300, so I'll be looking into fettling all the nav gear over the winter, then I can't wait to get out there and test my skills on some roadbook navigation! 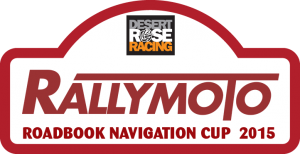 All the available information on the RallyMoto Cup has been and will continue to be published on the RallyMoto/ATRC website. Register your interest using the form to let the club know that you're keen to take part - the more riders, the better the experience will be and the faster the scene will grow.